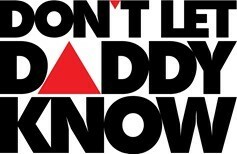 The Don’t Let Daddy Know brand is landing in the UK for the first time on Saturday 25 April at the Victoria Warehouse, Manchester. An anticipated 5,000 clubbers can expect a lineup including Showtek, Blasterjaxx, Sander van Doorn, Dannic, Sick Individuals, Moti, Sem Vox and Blinders. 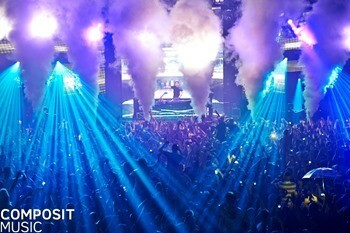 After debuting at the world’s largest club, Privilege Ibiza, just over two years ago, the Dutch brand has staged events in Amsterdam and Antwerp, as well as hosting their own stage at Mysteryland Festival, with big name DJs including Martin Garrix, Dimitri Vegas & Like Mike, Tommy Trash, Steve Aoki, Major Lazer and many more. Showtek’s big track ‘Booyah’ as well as co-productions with Tiësto, David Guetta and Hardwell, gave an indication of their current status! Also lining up at Victoria Warehouse is Blasterjaxx. The Dutch duo have had an amazing few years with releases on the likes of Musical Freedom, Revealed and Spinnin as well as flying up the DJ Mag Top 100 to #13 last year. UK fans will also get to hear Sander van Doorn, boss of DOORN Records, as he shows off the DJ skills that have made him popular in dance music. Dannic also steps up to showcase the energetic, big room sound that saw him play a weekly residency at Ushuaia Ibiza last summer. Sick Individuals, Moti, Sem Vox and Blinders complete the lineup. This event is hosted by Composit Music who have staged previous events at Victoria Warehouse with Hardwell, Steve Aoki and Dimitri Vegas & Like Mike.